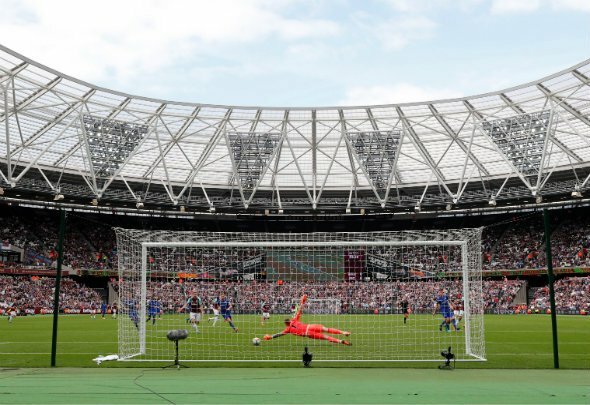 West Ham United’s ongoing battle with their London Stadium landlords over a number of key issues must be resolved if the team are to improve their on-the-field results. The London Legacy Development Corporation [LLDC] has recently been at odds with the club over, amongst over things, the colour of the material surrounding the pitch. Now the two parties are in disagreement over LLDC’s claim that the Hammers have yet to pay them some outstanding bills required for stadium maintenance. This constant toing and froing between the club and the stadium landlords is simply embarrassing at this point, and it can’t be helping the players produce results on the pitch. Now, you can say that players don’t pay any attention to this sort of thing, but it must filter through at some point. Certainly constant updates in the press only serve to heighten the negative atmosphere around the London Stadium move. It’s not helpful for the club to always be in the news with this sort of negative publicity. Whether these problems stem from West Ham or LLDC is irrelevant, it paints a picture of a club in disarray. Having lost all four of their Premier League games to start the season, this is a time when everyone involved in the club needs to come together and support the playing squad. Instead, we are hearing about constant squabbles between the stadium’s two key players. It makes the Hammers seem unprofessional, and it’s not good enough for a side looking to move forward. These issues have been rumbling on for too long now, and a solution needs to be found. A ‘he said, she said’ taking place in the media is not befitting of a Premier League operation. The atmosphere surrounding a club is an underrated factor in on-the-pitch performance. If the players are feeling the love and support of everyone involved with the team then they are more likely to play well. But if they can sense the discord about the place then it will have a negative effect on them. This isn’t rocket science; something simply needs to be done. The two parties need to grow up, sit down and resolve their issues. Maybe then we’ll see better results from the Hammers team.